October 16, 2011 - While US politicians grapple over the credibility of using the US DEA's bomb plot to assassinate a Saudi ambassador as a pretext to escalate tensions with Iran, America's unelected, corporate-funded policy makers have already announced their long, foregone conclusion. The DEA's entrapment case is decidedly to be used as a pretext for war with Iran. "It’s long since been time for the United States to speak to this regime in the language it understands—force. So we can stop talking. Instead, we can follow the rat lines in Iraq and Afghanistan back to their sources, and destroy them. We can strike at the Iranian Revolutionary Guard Corps (IRGC), and weaken them. And we can hit the regime’s nuclear weapons program, and set it back." 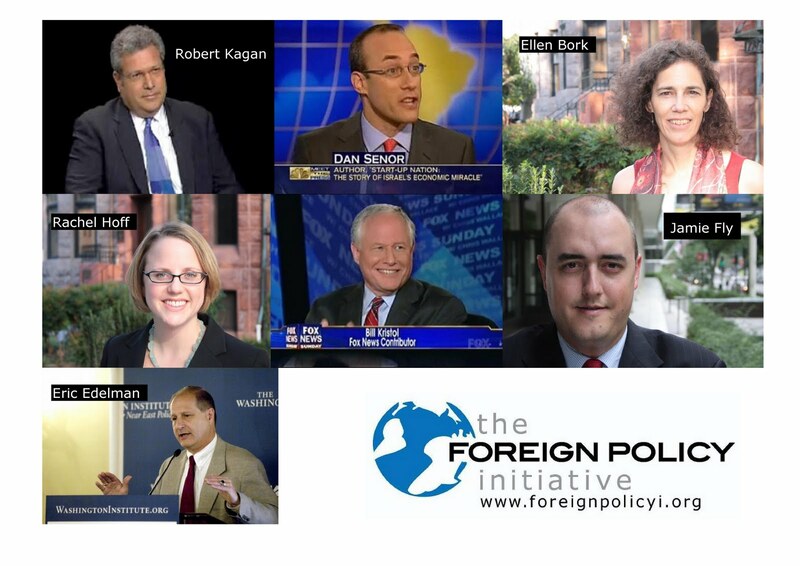 Likewise, FPI's executive director Jamie Fly claims, in tandem with Kristol's unqualified, corporate-funded opinion, "It is time to take military action against the Iranian government elements that support terrorism and its nuclear program. More diplomacy is not an adequate response." Ironically, Jamie Fly, who believes it is time to take "military action" against Iran for supporting terrorism, is a signatory of a letter imploring House Republicans to support the US war in Libya where NATO forces are literally handing an entire nation over to rebels led by the Libyan Islamic Fighting Group, listed by both the US and British government as a foreign terrorist organization, and is confirmed to have fought and killed US and British troops in both Iraq and Afghanistan. It should also be noted, that fellow policy makers at the Brookings Institute proposed that the US arm, train, and even go as far as de-list as a terrorist organization, MEK (Mujahedin-e Khalq), in covert efforts to wage war against Tehran. MEK is acknowledged by Brookings to not only be a bona fide terrorist organization, but also has American civilian and military blood on its hands. It is safe to say that Jamie Fly, William Kristol, and the rest of the policy wonks populating FPI and similar corporate-funded think tanks harbor less than genuine "concerns" regarding "terrorism," - concerns which are voiced purely for public consumption. As reported previously, the official, though rarely spoken about policy toward Iran is one of purposefully provoking the regime into a war it desperately wants to avoid. The Brookings Institution, like FPI, is a corporate-funded think tank full of unelected policy makers who literally steer America's destiny. In its report "Which Path to Persia?" it is clearly stated that not only does Iran want to avoid war, but any potential aspirations to acquire nuclear weapons are driven only by a desire to defend its sovereignty, not use unilaterally against its neighbors nor to proliferate such weapons into the hands of non-state actors. Masking this criminal conspiracy is a narrative repeated ad naseum by the corporate media, literally sponsored and steered by the same corporations and banks that fund the above mentioned think tanks. The American people are presented with a belligerent, irrational enemy, so entirely fictitious it challenges the archetypes produced by Hollywood. Should Americans know the truth about America's real policy regarding Iran, war not only would not take place - those who have pushed so hard to shed American treasure and blood in Iran would be ferreted out as criminals and permanetnly removed from society. US foreign and domestic policy is not produced by our legislatures as we are meant to believe. John Kerry and John McCain don't sit behind their desks twelve hours a day penning the 1,000 page policy papers they present to Congress to be rubber stamped. President Obama is not sitting in the Oval Office churning out reams of policy papers either. It is the unelected, corporate-funded policy think tanks and their army of policy makers, lawyers, scribes, and media personalities the produce, promote, and ram through an agenda that serves not the American people, but the corporate-financier interests that fund their work. While many Americans scratch their heads at what appears to be a profound mystery - a Democratic president carrying the torch of a Neo-Conservative Republican's global war, not only maintaining all previous wars, but expanding the battlefront - in reality this linear, continuous policy that is being executed piecemeal by both sides of the American political aisle is the direct result of these corporate-funded think tanks successfully commandeering both political parties. John Kerry and John McCain's love for sending Americans to their deaths in foreign nations and spending American tax money to destabilize countries around the world is not an anomalous convergence of some political ideal, but rather the result of absolute, naked corporate fascism overrunning America's political institutions and co-opting politicians of inferior human character. As in Nazi Germany, this unchecked power, not foreign enemies, presents the gravest risk to national security imaginable. Those that serve this system and fail to speak out against it, and worse yet, willingly collaborate with it, are America's true enemies and a self-evident threat the American people can no longer afford to tolerate. Vote out of office any and all public servants that promote extraterritorial meddling, including wars, funding foreign opposition movements, arming foreign militants, and funding foreign propaganda networks. 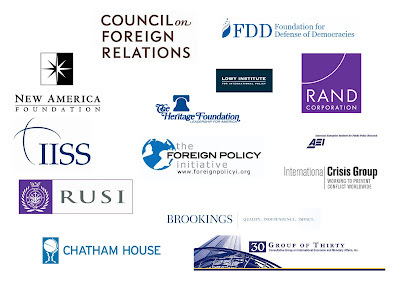 Vote out of office all representatives that peddle 1,000 page pieces of legislation produced by corporate lawyers and their vast array of "think tanks." And above all, identify and expose the actual corporate-financier interests driving this destructive agenda, then boycott and replace them. The vast influence and unwarranted power these corporate fascist monopoly men have garnered is a direct result of our apathy, ignorance, and decades of paying into their system with our money, time, energy, and attention.